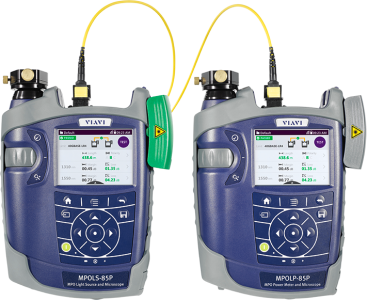 SmartClass Fiber MPOLx is the industry’s first dedicated optical loss test set that can perform all the test requirements for Tier 1 (Basic) certification using MPO fiber connectivity. The MPOLx provides a source and power meter that integrate essential MPO test capabilities together to ensure a fast and reliable workflow when testing and certifying network links with native MPO connectivity. With the MPOLx, field technicians can perform all the necessary test requirements for Tier 1 (Basic) certification in a single solution.